Situated on water’s edge, this century-old Fox Island Chapel offers expansive views of the Olympic Mountains and Echo Bay in the Puget Sound. The beautiful century-old Chapel on Echo Bay is the perfect venue for your waterfront wedding, reception, meeting and event, with a sanctuary or garden seating up to 130 guests, and a newly remodeled 1890s-style reception hall overlooking the waterfront level. 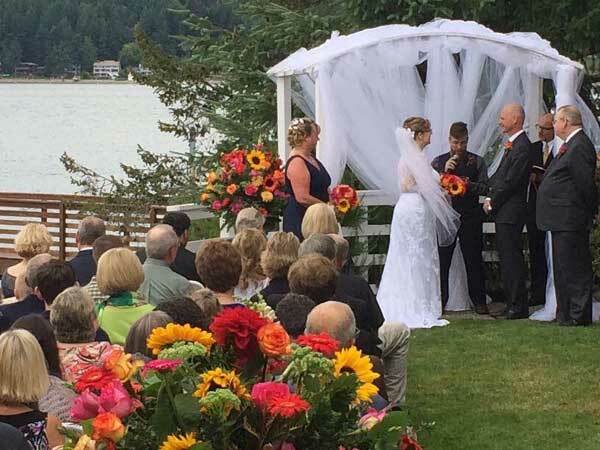 The Chapel on Echo Bay is a popular “destination wedding” venue for both local and out-of-state couples. Inside the sanctuary or on the lawn, the ambiance is pure romance. Local, national, and international artists compete months in advance for a performance date in this intimate setting. Free members-only as well as public benefit concerts are held throughout the year. 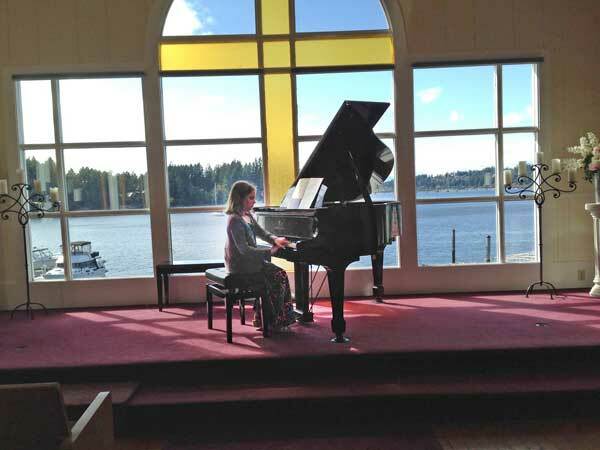 Individuals and organizations can lease the facility for meetings, conferences, birthday and anniversary parties, piano recitals, memorial services and myriad other private activities. Gifts from Individuals, corporations and foundations help the FI Chapel Preservation Society maintain and preserve the historic structure. Members enjoy discounted event prices as well as an annual celebration in their honor. 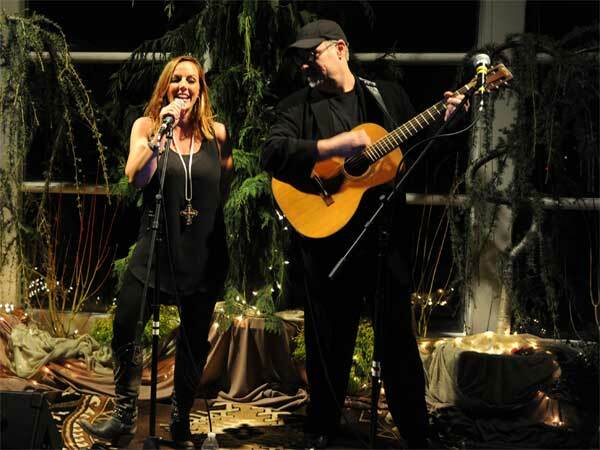 Located just ten minutes from Gig Harbor and 30 minutes from downtown Tacoma, the Chapel on Echo Bay is a perfect choice for couples seeking a romantic wedding destination and performing artists seeking an up-close and personal audience. Once a church, it is now a non-denominational facility. 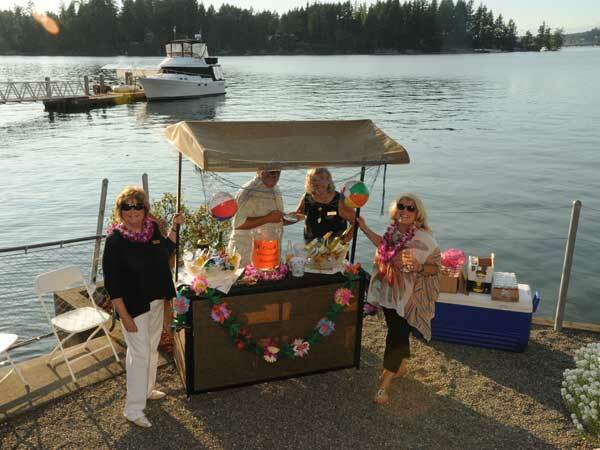 Known by locals as “The Spirit of Fox Island,” this charming setting is a popular Kitsap Peninsula/South Sound venue for weddings, concerts, meetings and special events. In recent years, it has become the leading island venue for concerts, ranging from traditional country to rhythm and blues, as well as authors’ readings, piano recitals, and both religious and non-religious ceremonies and celebrations of all kinds. Fulfilling the cultural and educational mission of this historic site, its Board of Directors sponsors public programming as well as private social activities and concerts exclusively for members of the Fox Island Chapel Preservation Society.